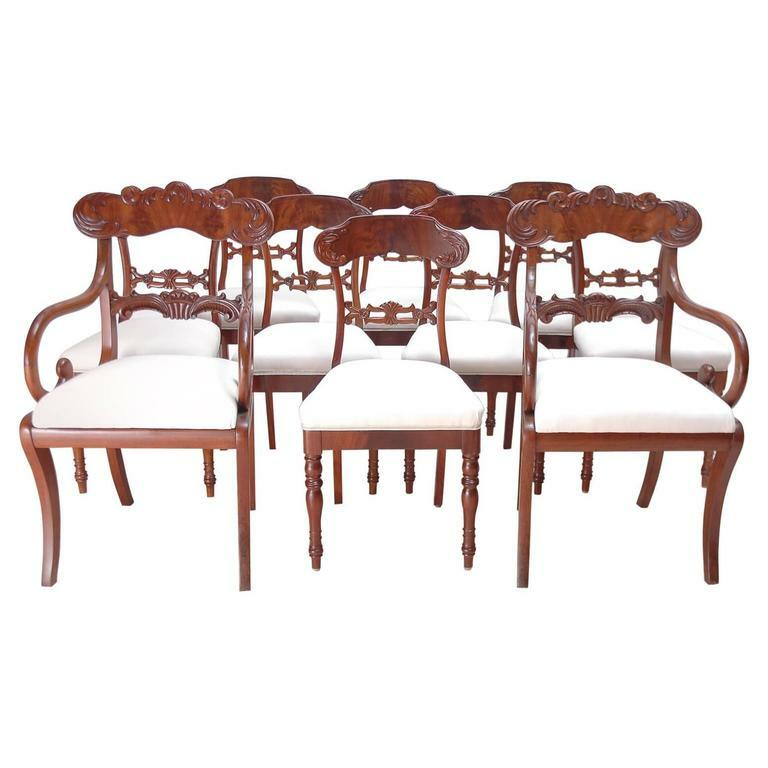 An assembled group of ten Karl Johan dining chairs comprising of a set of eight chairs without arms and a pair of arm chairs in mahogany with carved back splat and crest rail with foliate design of acanthus leaves. 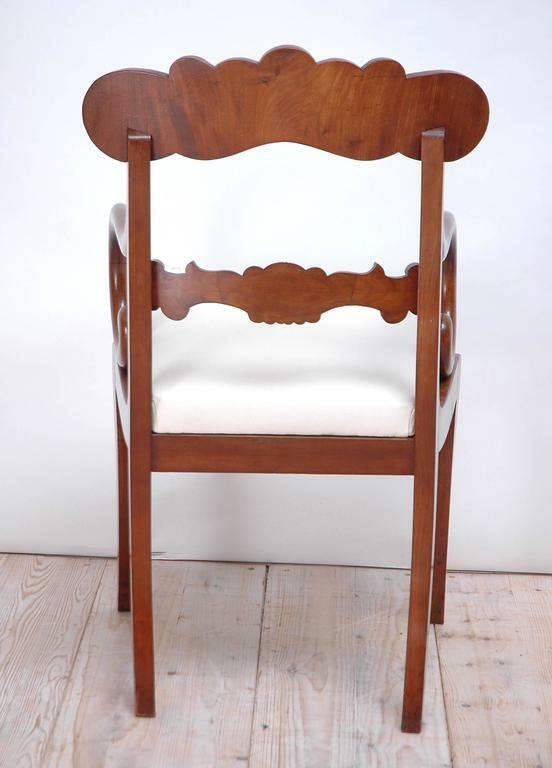 Side chairs feature turned front legs with saber rear legs, arm chairs have four saber legs, Sweden, circa 1835. 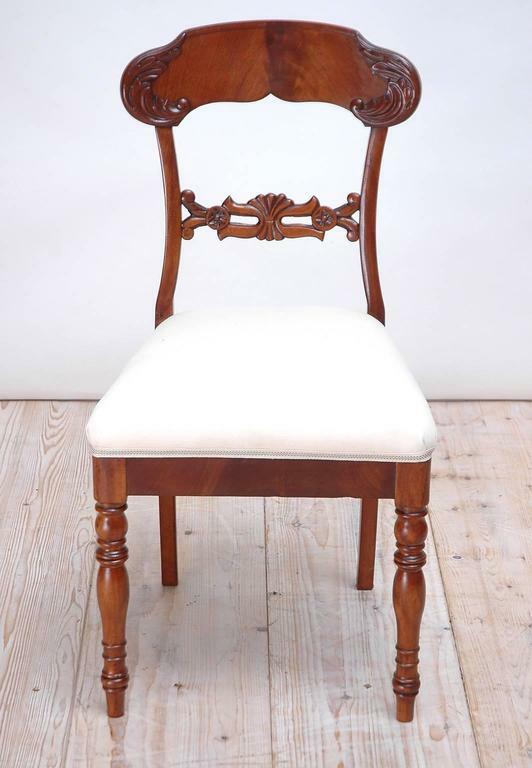 French-polish finish with newly upholstered seats in Robert Allen cream-colored cotton twill. 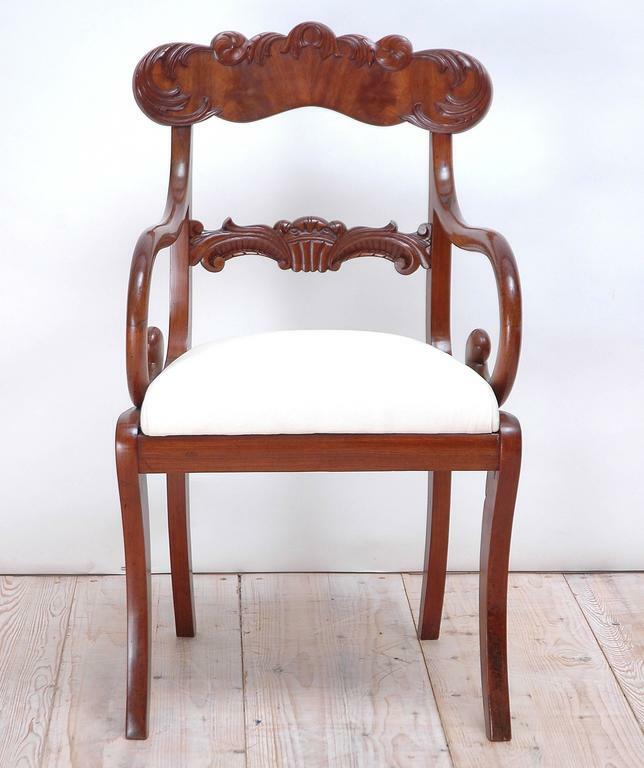 Armchair: 21 1/2" wide x 21 1/2" deep x 37 1/2" high (Seat height: 20 1/2"). 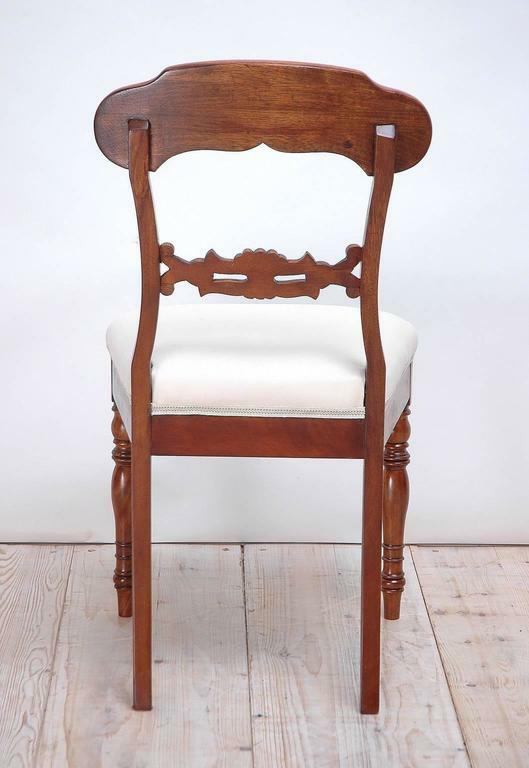 Side Chair: 18 1/2" wide x 18" deep x 34" high (Seat height: 19"). 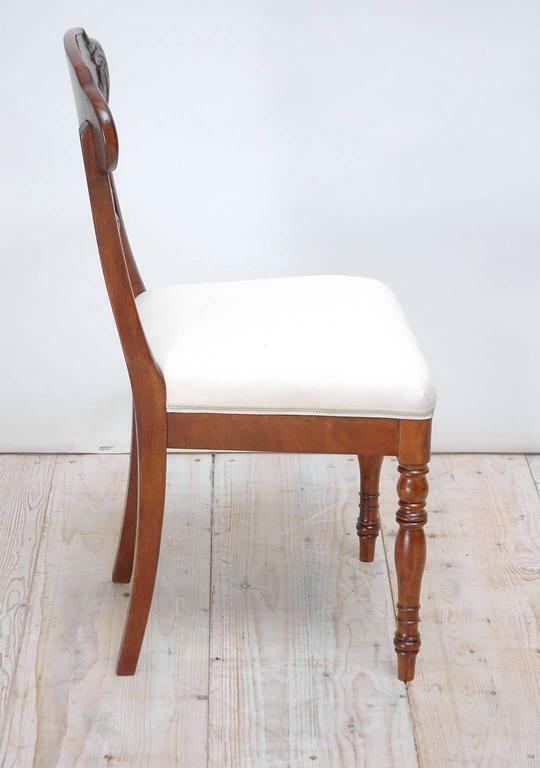 French-polish finish with newly upholstered seats in cream-colored cotton twill. 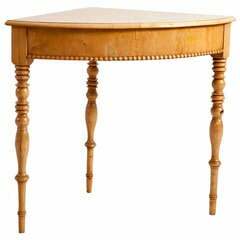 Hard to find Karl Johan corner table in birch, with a French polished finish Finish: French polish. Measures: 33" wide x 23 1/2" deep x 29 1/4" high. 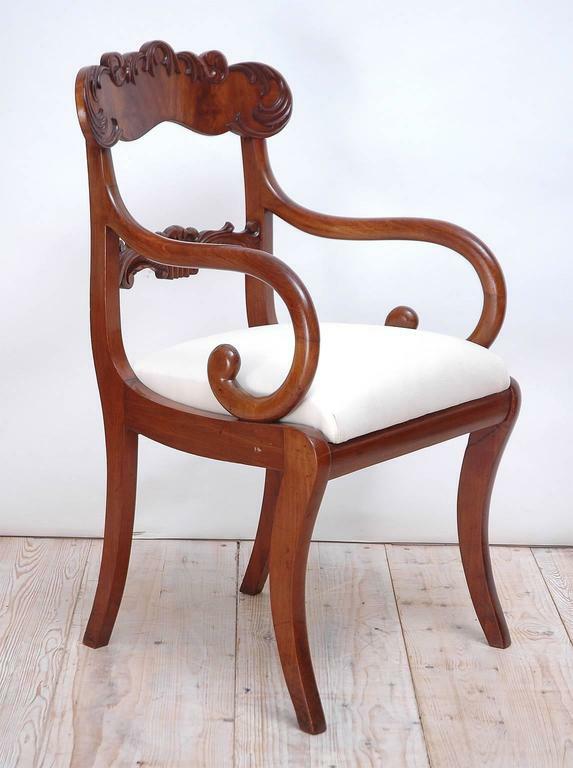 American Empire gondola chairs in mahogany with saber legs, circa 1830. Beautifully restored and polished. Measures: 18" wide x 20 1/2" deep x 33" high. The chair is all made by wood, plugs out of pine. This patina is difficult to find. Stunning! 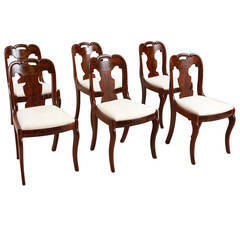 Wonderful quality set of ten dining chairs. The frame is mahogany wood carved in sunflower pattern and the legs are simple straight. The seat is covered in linen. Set of 10 vintage metal dining side chairs. 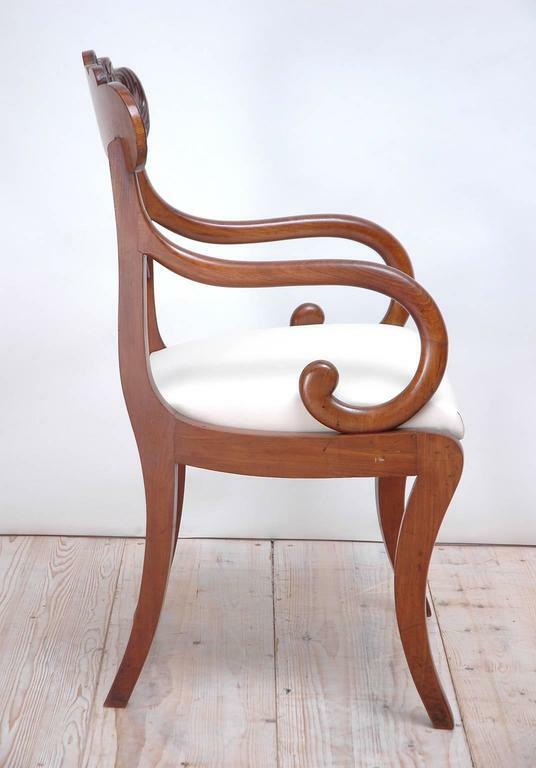 Sculpted and hardwood Karl Johan armchairs, early part of the 19th century. 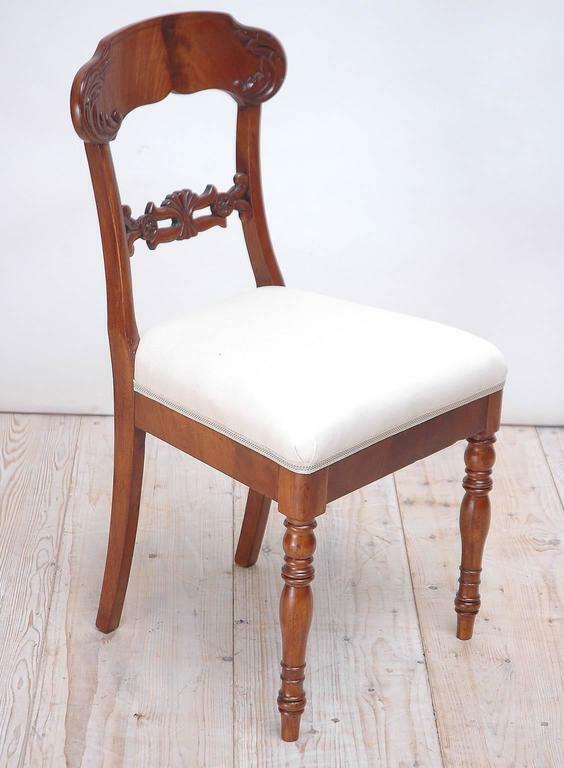 Scratches, marks, stains, Complete restoration with new upholstery on request possible.